OPEN SUNDAY, APRIL 28, 2019: 3:00-4:30 P.M: About 3,883 sq. 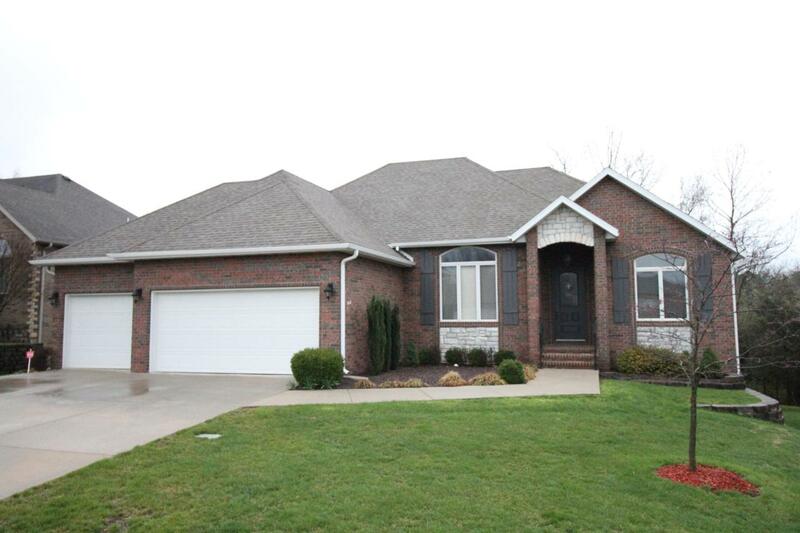 ft (per appraiser) in this well kept 5 bedroom, 3 bath, all brick, walkout basement home in Ironbridge Subdivision. 3 car garage. Split bedroom floor plan. Hardwood floors on main level. Kitchen has breakfast bar. Master bathroom has double sink vanity, step-in shower and jetted tub. Walk-in closet. Basement has huge family room with wet bar, 2 bedrooms and full bath. 2 storage areas plus John Deere Room. Wood deck. Nice view of trees in back yard.